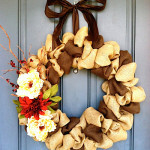 There is always an occasion to give you an excuse to make a gorgeous wreath for you home. 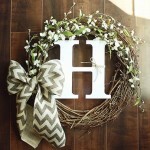 It can be a special celebration or an everyday décor improvement. 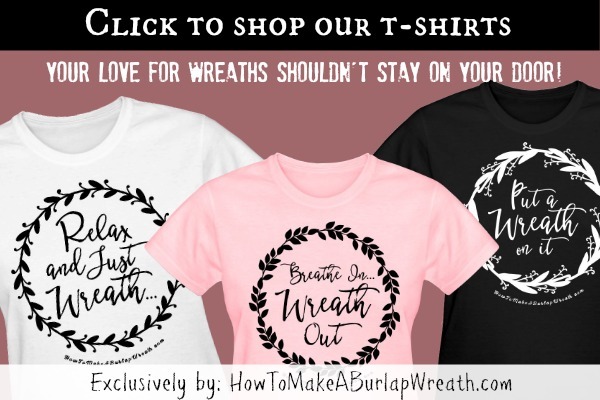 So here is a way to make a basic circle burlap wreath which you can adjust to any circumstance by either changing the color of your burlap ribbon, by using more than one color or simply by adding some distinctive embellishments and decorations to your wreath. The first step is the most time consuming. 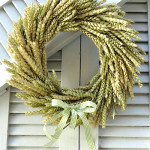 You will need to cut out a lot of circles out of your burlap. Use the template to cut the 3 or 6 inch circles (depends on the look you are going for, the smaller circles will get you a more even look, while the bigger once will look wilder). If you find it helpful use a pen to draw the circle first and then cut it out. 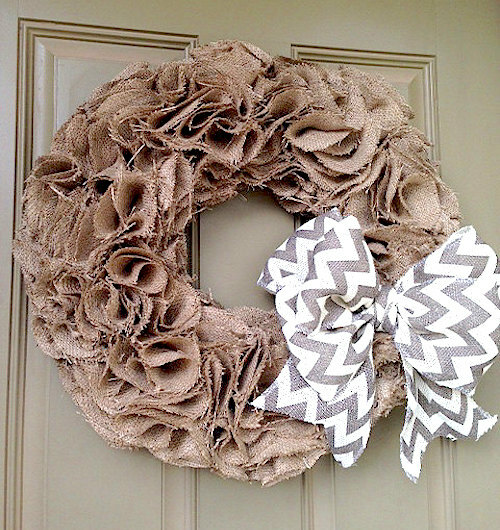 To make the ruffles take one burlap circle and fold it into half. Now fold it again lengthwise. Add a small amount of glue inside of the fold, near the bottom in order to hold the shape you created together. Continue making a lot of ruffles. 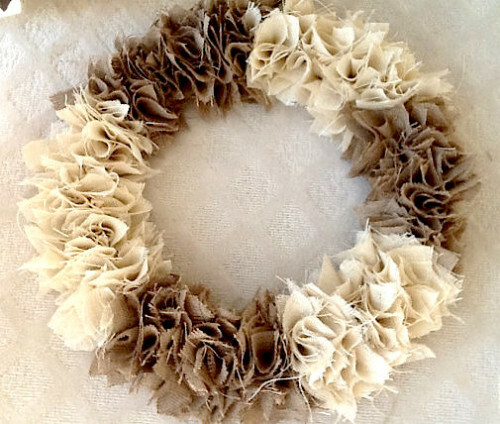 When you’re done, glue each ruffle onto your foam wreath in order to fill every part of it (inside and outside, but you could leave the back clear to be able to hang it nicer). You don’t need to be careful with the spacing, but keep the ruffles about half an inch apart of each other for a nicer result. You can fill the wreath with more or less ruffles, just as you like it, but make sure that no blank spaces can be seen. Trim any loose ends for a smoother finish. 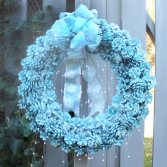 Adorn your wreath with embellishments or leave it as it is and hang it with ribbon, twine or fabric. That’s it! 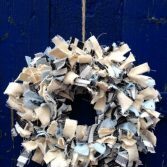 This project will give you a jaw-dropping result as the final wreath looks absolutely stunning. If you don’t want to waste time to cut out circles, you can just cut out squares and fold them twice, like the circles. The end result will have more peaks then if you would use circles, but it is still stunning and saves you a lot of time! 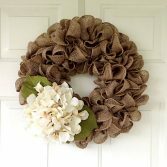 Try this multi-color burlap wreath tutorial too! Pretty! Looks like it takes a bit of time, but worth the effort! 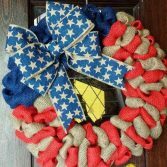 Love that chevron bow, too. Thanks for having me Pauline!